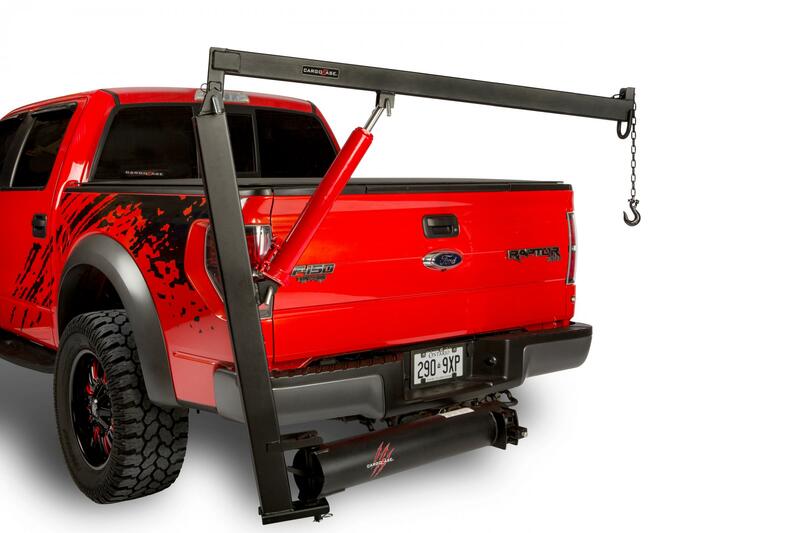 HitchHoist Trailer Hitch Crane is a great new product from Cargo Ease. 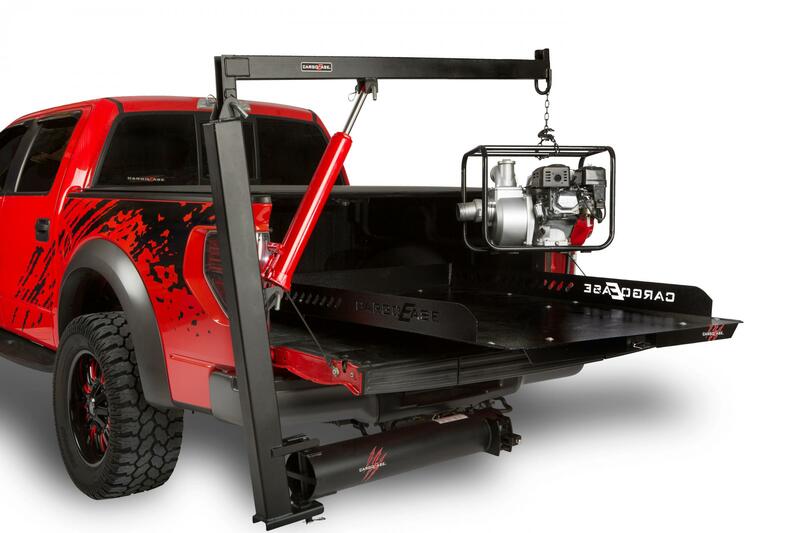 This cool crane attaches to any 2 Inch Class 3 or higher trailer hitch and has the lift capacity of 750 Lbs. It assembles and breaks down in just a few minutes and makes loading and unloading quick and easy. For those who have a truck cap or cover, but still need to load and unload heavy cargo in the back of your vehicle, this crane and our pull-out slide makes for a great combination. Simply lift your cargo with the trailer hitch crane, then pull your slide out and place the cargo right on to your slide. Now just slide your cargo into the back of your vehicle.